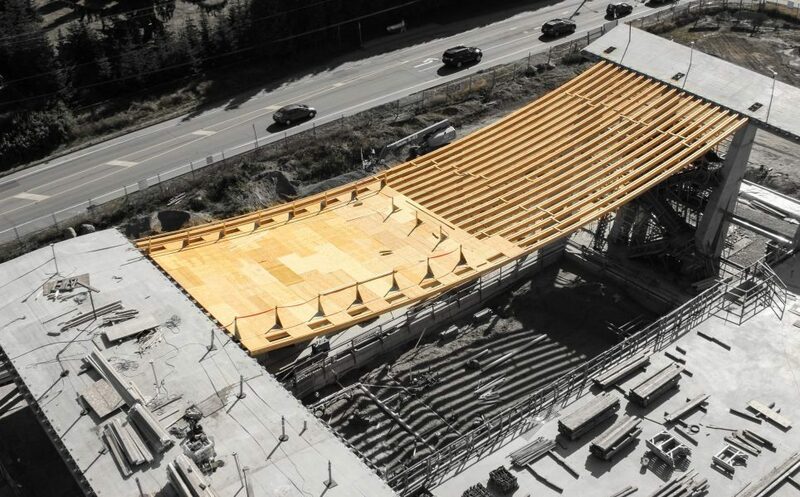 Vancouver engineering firm Fast + Epp has received the ‘triple crown’ of structural design awards for its innovative use of wood on the Grandview Heights Aquatic Centre (GHAC) in Surrey, B.C. The aquatic facility has been recognized as the world’s top structural engineering project by the Institution of Structural Engineers (IStructE) at a ceremony in London, England on November 11. This newest accolade caps off an awards season that has seen GHAC recognized as both B.C. and Canada’s most significant engineering project. “We were struck by the undulating roof, which elegantly balances structural form with building use and celebrates the expressed materials. The adoption of timber in catenary permitted a structural depth of just 300mm for a 55m span – a design which defies convention and demanded design excellence,” the judges wrote in their deliberations. 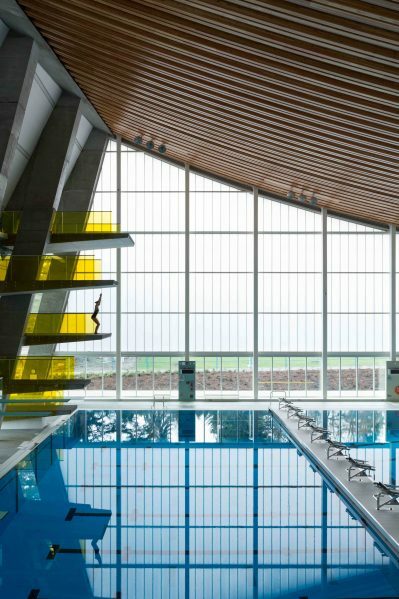 IStructE’s presentation of The Supreme Award for Structural Engineering Excellence recognizes the City of Surrey’s vision to create a destination venue for international swimming events and a dynamic community facility that utilizes local wood, in close collaboration with architects from HCMA Architecture + Design. 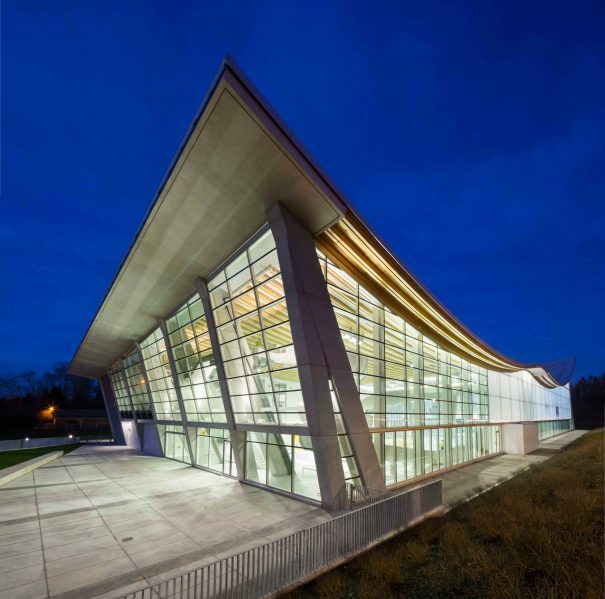 The facility was constructed to meet the diverse needs of one of Canada’s fastest growing cities and features an undulating roof structure with hanging timber ‘cables’ suspended between large concrete buttresses. 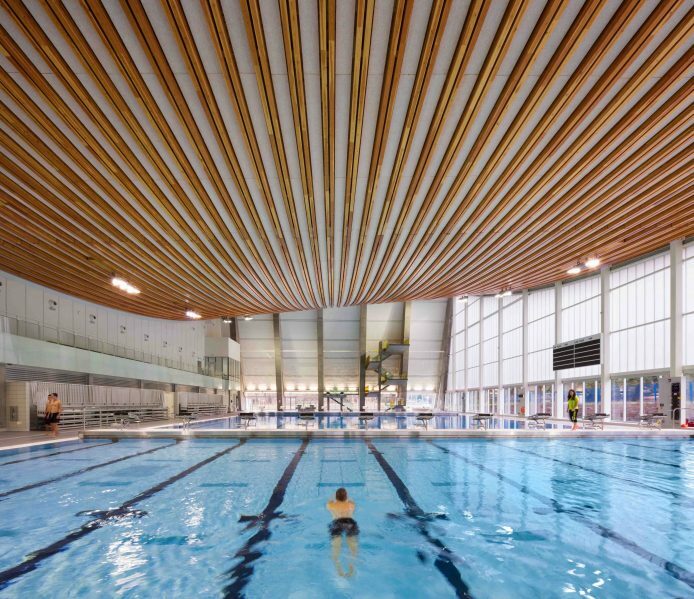 It’s believed to be the world’s most slender long span timber catenary roof, highlighting wood’s potential as a cost-effective, structurally-efficient and aesthetically-pleasing building material for aquatic facilities. To date, the aquatic facility remains one of Fast + Epp’s most ambitious projects in its 30-year history. 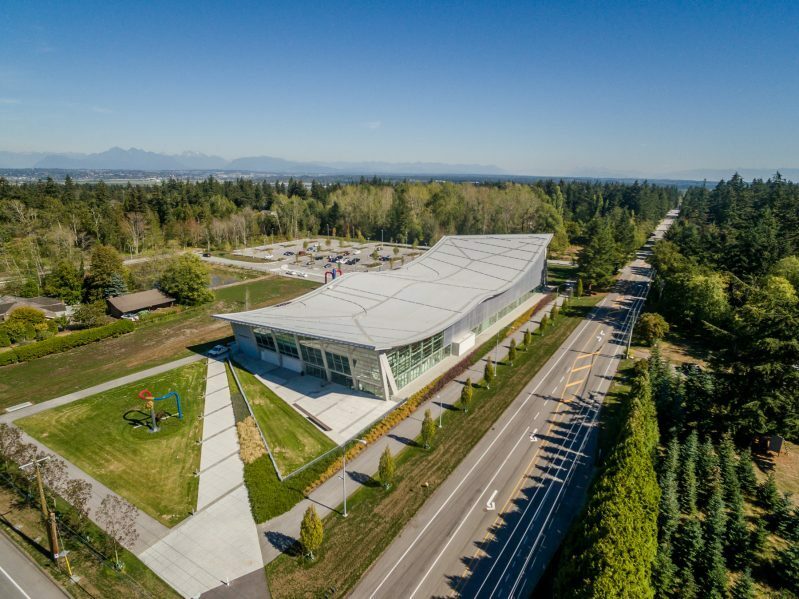 This was the project’s fourth top honour to date – GHAC has received the 2016 Schreyer Award from the Association of Consulting Engineering Companies of Canada (ACEC), the 2016 Lieutenant Governor Award for Engineering Excellence from the Association of Consulting Engineering Companies of British Columbia (ACEC-BC), as well as the New Buildings $30 to $100 Million Award from the National Council of Structural Engineers Associations (NCSEA) in the United States. 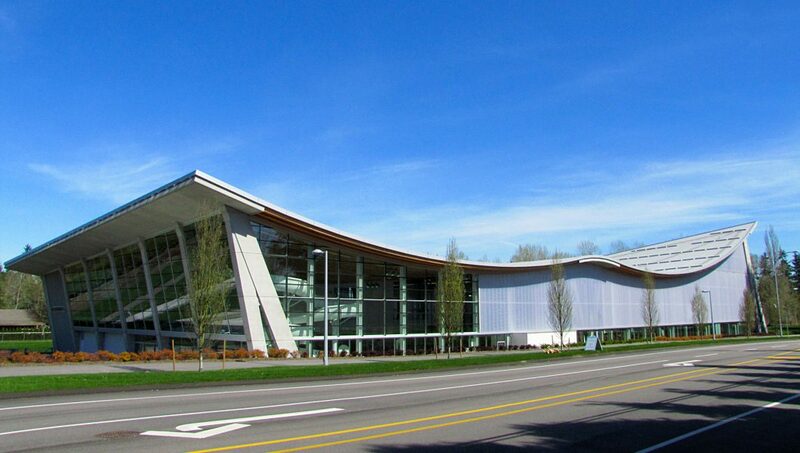 The project represents outstanding value for money and met the City of Surrey’s budgetary expectations. The 8,830m2 facility was constructed for $44 million – about $4,983 per square metre (which is comparable to a steel solution, yet avoids the potential for corrosion in the humid aquatic environment). Most aquatic facilities are designed as a ‘box with a flat roof’ to accommodate tall diving towers, GHAC’s roof shape saves money in the long run; its undulating form reduces the cubic volume of air to be heated and de-humidified, decreasing operational costs. The facility seeks LEED-certification and meets stringent FINA standards to host regional, provincial, national and international sporting events in its 10-lane, 50m Olympic-size competition pool and dive platform.